GoldSilver’s Senior Precious Metals Analyst Jeff Clark gets all sorts of questions from our customers and others curious about the unique world of precious metals investment. Jeff, having grown up in an active precious metals mining family and as a lifelong precious metals investor, is uniquely qualified to provide answers born of his experience and decades of industry study. Today brings us Volume 2 of The Jeff Clark Mailbag, an ongoing series that will feature some of the most frequently asked and interesting inquiries Jeff has received, along with his answers. Every Mailbag will always include just one thing: real, unsolicited questions from real people and Jeff’s honest answers to those questions. Q: What do you think is the future price trend for silver? A: Like any investment, that’s hard to answer with certainty. But at this point in history there is an unusually high number of monetary risks around the world, putting the odds of a spike in price high. Q: Where are some good places to hide gold? A: Good question, because you do have to keep it out of sight and secure. There are a number of considerations, and I wrote a full article and did a video on this very topic: How to Store Silver Bars and Coins at Home (With Video) It has practical tips in it, along with the idea that you probably don’t want to keep all of it in the house. 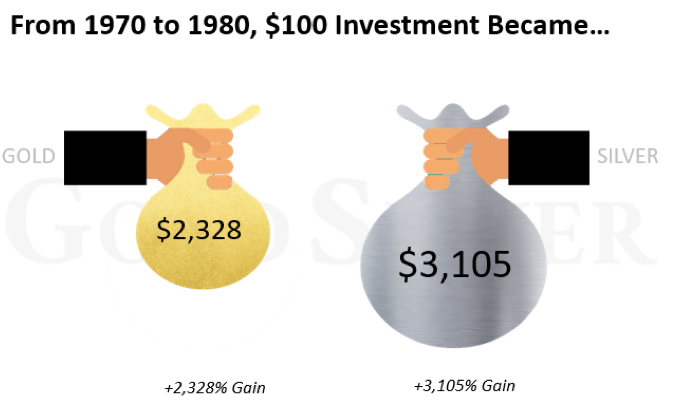 Good to figure this out now, because keeping gold (and silver) secure will be increasingly important when they enter the next bull market. Q: How much gold is yet to be unearthed? A: Good question. There are a few aspects to adequately addressing this topic. While plenty of gold has been identified around the world, some deposits are not economic, meaning it would cost the company more to dig it up than they could sell the metal for. One reason is due to the gold price—some projects have been put on hold because they’re not economic at current prices. If prices rise and stay there, some of these deposits would become more feasible. Some would require much higher prices, and some will never be economic. And if gold prices fall much more it will put some projects currently slated for production on hold. So this factor impacts any figure you see about how much gold is in the earth’s crust. Another issue is technology. Gold is a choo-choo industry compared to most other sectors. While technology advanced greatly in the 1980s and led to substantially higher production rates, greater output will require more advanced technology, which has stalled due to the bear market in the industry. Why be an engineer in the dirty mining sector when you can make 2–3 times more in an exciting start-up? The lack of technological progress keeps some metal in the ground that might otherwise be feasible. The final issue is the amount of gold that exists in the earth’s crust. God isn’t making any more. Further, we’re seeing fewer discoveries and lower grades, with some deposits in areas that are politically risky or a non-starter (for example, Venezuela). It will take better technology, higher prices, and more favorable mining regulations for some of this gold to be reached. So whenever you see a quote about how gold is available, these factors have to be considered, which means the number will always fluctuate. More could be available as technology develops, or less if it doesn’t and gold prices fall. Most quotes from the Geological Survey calculate their figures based on current methods, but again those figures can and will change. “Peak” gold is a thus moving target—it’ll happen someday, but probably not in our lifetimes. The relevant issue today is that new mine production is almost guaranteed to fall: Gold Supply Is Guaranteed to Fall-Here’s How You’ll Be Impacted. 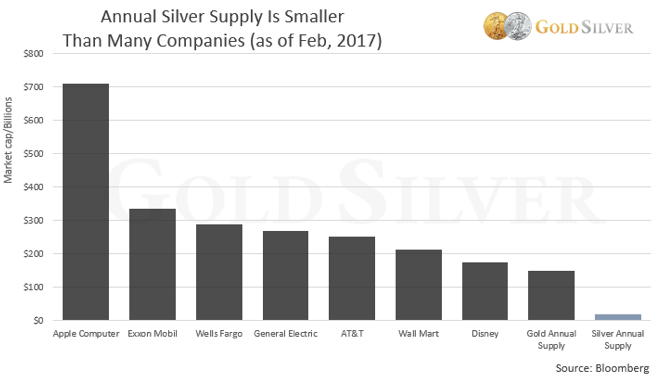 Silver production is already falling and has an outlook that’s even worse than gold’s: The Coming Silver Supply Crunch Is Worse Than You Know. If the reasons to buy gold spike at the same time supply is falling, the price could be impacted in a big way. Q: How can I get the best price for a large piece of gold jewelry, weighing about an ounce? A: If it’s pure gold (24 karat) you should get reasonably close to spot from a jeweler, though if it’s not in pristine condition they’ll discount it. It’s probably less than 24-karat though, so try to find out the actual content, which might be displayed somewhere on the piece. We Buy Gold places are usually reselling to a refiner, so you could try cutting out the middle man and go straight to a refiner, though they may not take a small amount. That’s the issue you’ll most likely run into, that unless the buyer, whoever it may be, can turn around and sell if for a profit they’re probably shipping it off to a refiner and can’t give you anywhere near spot. I wouldn’t bother with a pawn shop. And be careful shopping it around too much, you don’t want a burglar to catch wind of it. Thanks for joining us for The Jeff Clark Mailbag; Volume 2!